After crashing hard once I was done exploring the falls and the river (I took a solid 3 hour nap and then went to bed early, which is hard to do since the sun sets around 11:30pm), I woke up refreshed and ready to go. We ate some homemade pancakes (thanks, Girl Kyle!) 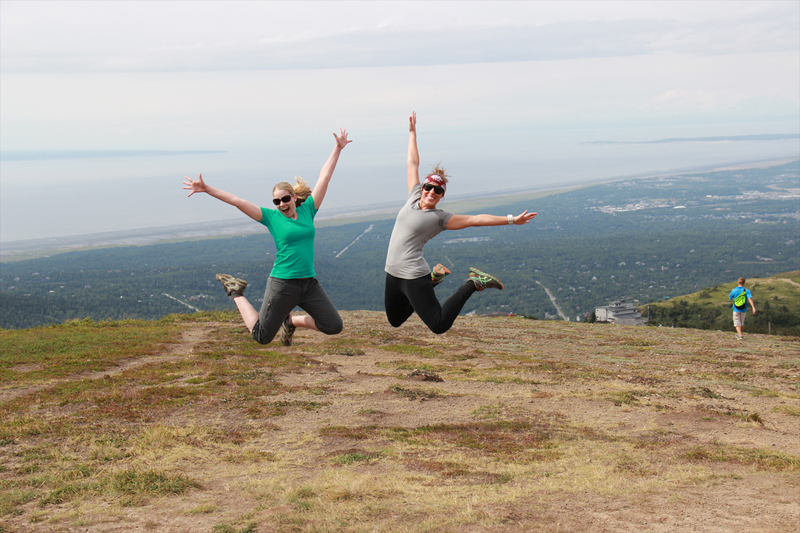 and got ready to check out the local downtown Anchorage market then go to hike up Flattop Mountain – about 15 miles south east of the Kyles’ house. 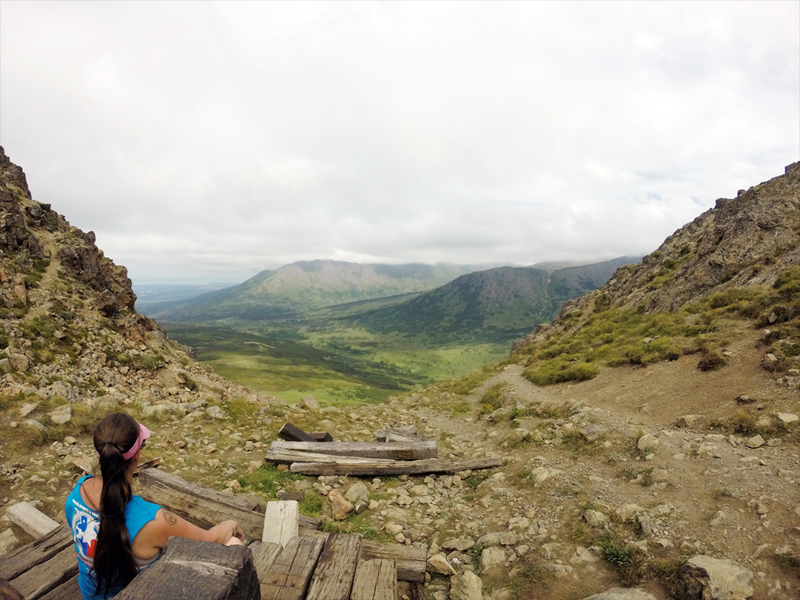 Flattop was a fun and somewhat challenging hike. It was 2 miles from the parking lot to the peak of the mountain. 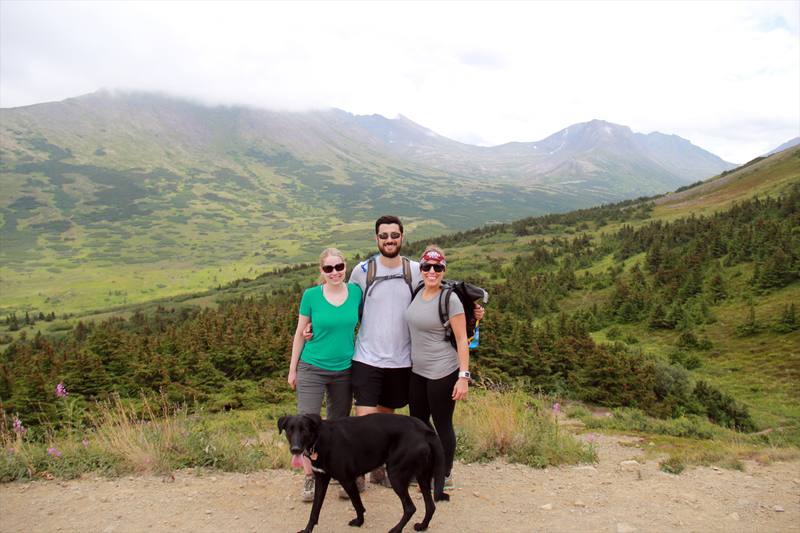 Once we reached the saddle, it was a rapid change in landscape with loose rocks among the solid larger ones. We took that last part a little slower in order to not slip. 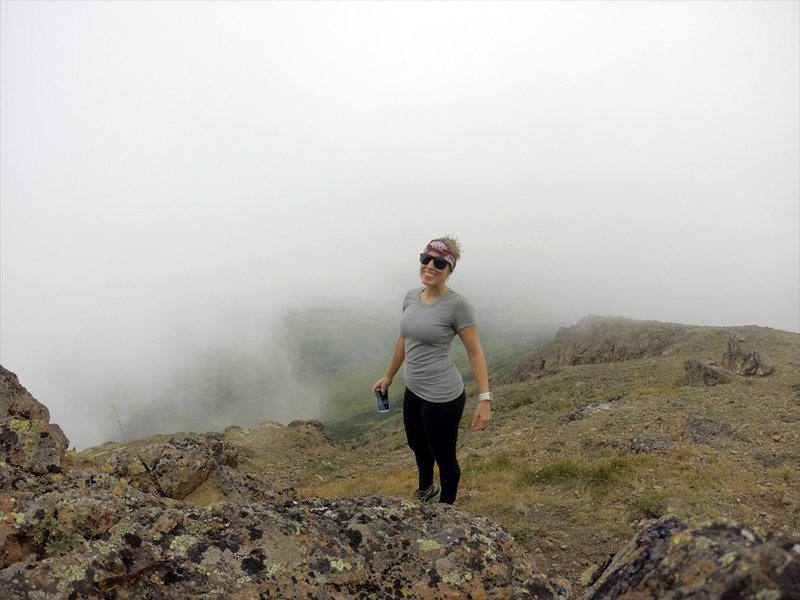 The best part is how Scout, the Kyles’ dog would just run up the mountain and look down upon us, probably thinking “c’mon guys, let’s go!” Once we reached the top, the clouds took over and it wasn’t as scenic of a view but was still pretty neat to be engulfed in a cloud. 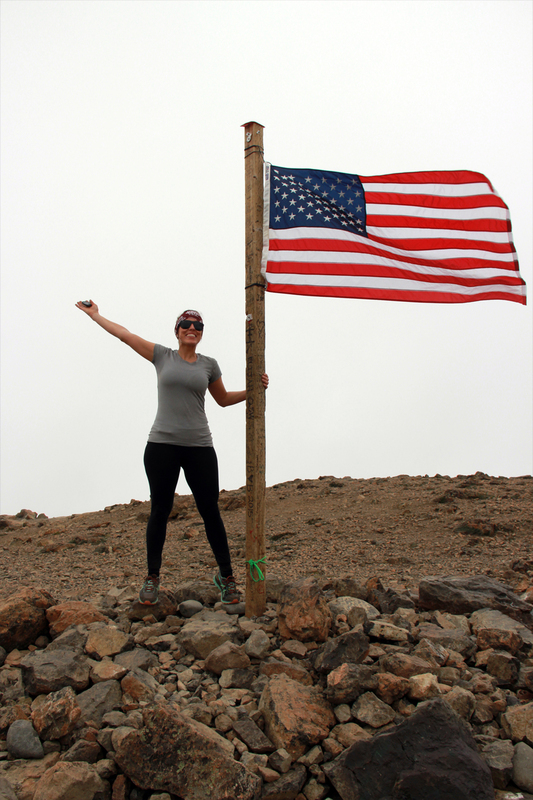 Check out this video from the first 3 days that includes some of the hike up Flattop Mountain. About 1/3 of the way up.